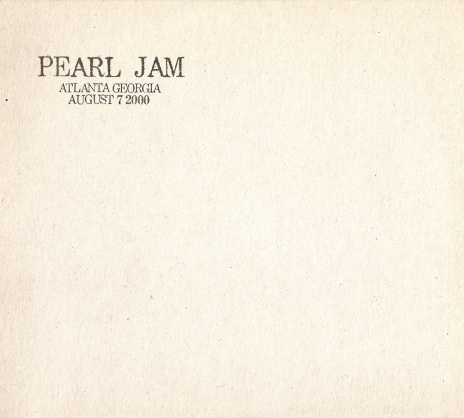 OK, by now you have no doubt figured out (whether you could get the mp3 files to play or not) that there was never a leak of seven demos meant for Pearl Jam's tenth album. We made it up as an elaborate prank because ... well, because we're tired of waiting for the new Pearl Jam album, and we thought the Pearl Jam community needed some excitement. Are we jerks? Yeah, we are, but if we have to be jerks in order to spark more excitement for Pearl Jam, we're happy to play that role. Please forgive us our boredom. That being said, we'd like to make it up to you. your best made-up Pearl Jam song title. On Sunday, April 7th at 8pm ET, we will draw one tweet at random and send you the bootleg. I know, it's not the greatest prize you ever won, but hey ... it's a Man/Ape show and all ya' gotta do is write 140 characters. Again, ... sorry ... now quit whining and get tweeting! Reminder: We can only offer it to fans in the United States. If you're in Europe or South America or Australia, we love the snot out of you, but you'll have to find an American friend and give us their address if you win.